SAN ANGELO, TX -- Two men were arrested and found to allegedly be in possession of narcotics after a high speed chase on Saturday. 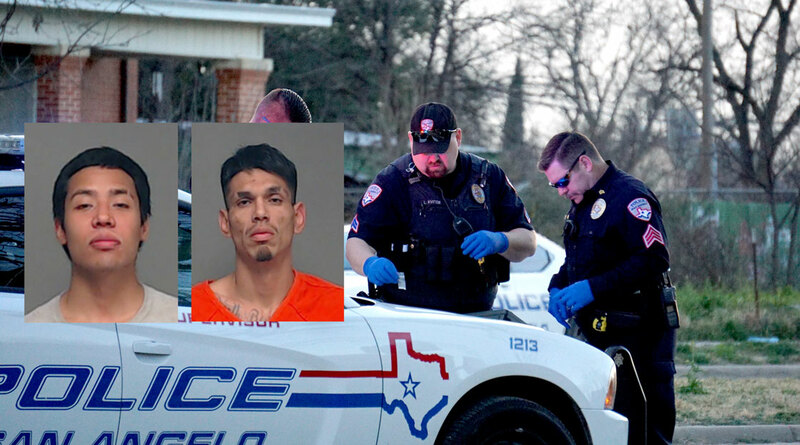 Angel Torres, 34, and Richard Delacruz, 25, were arrested after leading police on a high speed chase through residential areas on San Angelo's north side. A San Angelo Police Officer spotted a car, which he knew to be stolen, on the 800 block of E. 19th st. The officer then attempted to pull the vehicle over, when the black 2011 Hyundia Elantra accelerated and tried to lose the officer. The vehicle had traveled at high speeds throughout the north side of town. The vehicle traveled through alleyways at speeds up to 50 mph. The driver was also driving very recklessly, the affidavit said. According to a witness at the scene, the driver was driving on the wrong side of traffic at high speeds. The officers decided to call off the pursuit due to them becoming a danger to the public. The vehicle was then found on Browning and Preusser. According to an affidavit, the suspects were apprehended a short time later after the vehicle became disabled. The officers then searched the vehicle to find four grams of methamphetamine and one gram of heroin. Torres was arrested for evading arrest, manufacture and delivery of a controlled substance, possession of a controlled substance, and possession of marijuana. Delacruz was arrested for evading arrest with a motor vehicle. Torres is in jail on a $53,500 bond. Delacruz is still in jail on a $7,500 bond.